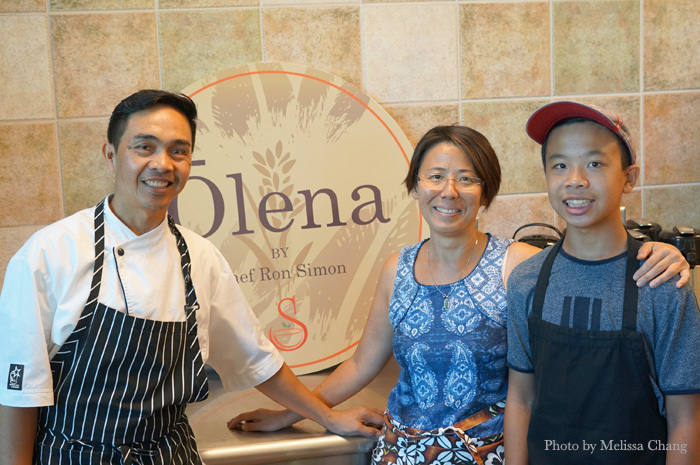 Chef Ron Simon, left, with his wife Rose and son Coby. 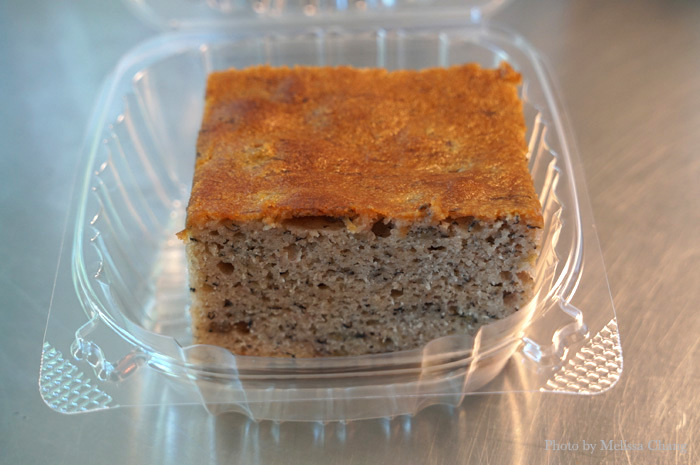 The John A. Burns School of Medicine (JABSOM) in Kakaako is always offering fresh, healthy choices for their students and faculty, and chef Ron Simon has just stepped up to add to their selection of meals. 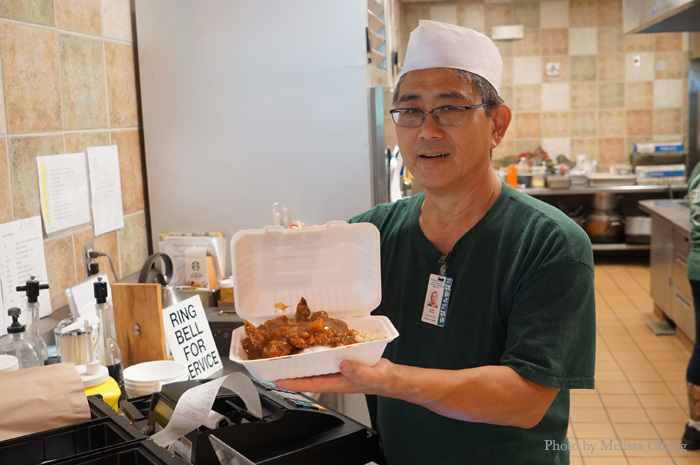 You may know Simon from his booth at the Wednesday Blaisdell farmer’s market, where he serves up different twists on salads and drinks that are healthful and light, but full of flavor. (Or, you may know him from his previous gig at the Pacific Club.) That’s probably how JABSOM found him — he’s not sure — and got him to open his own spot in their cafeteria. The new venture is called Ōlena, which is the Hawaiian word for turmeric, a plant known for its medicinal properties. I got to try some of his offerings when he opened recently, and I’m happy to know that we have more healthy places to eat that aren’t just boring salads. Here’s a peek at items from his first week, but he’s already made additions and improvements to the menu, so by the time you get there you’ll be even more impressed than I was! Simon makes his own baked goods. No bulk orders from the Big Box here! 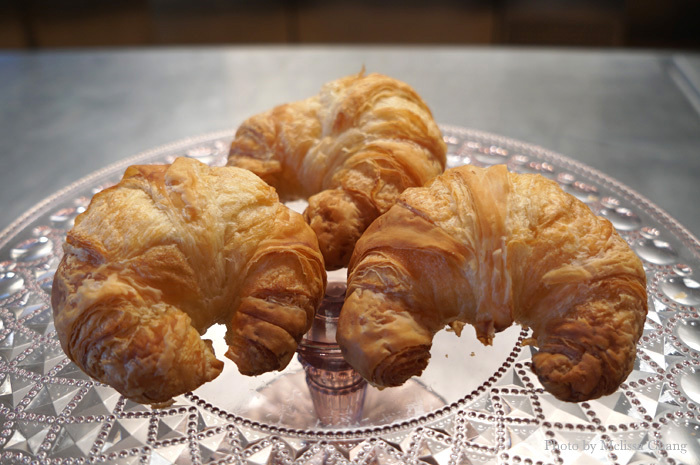 Simon also tries to use local flavors and create a variety of items for different tastes on the go. 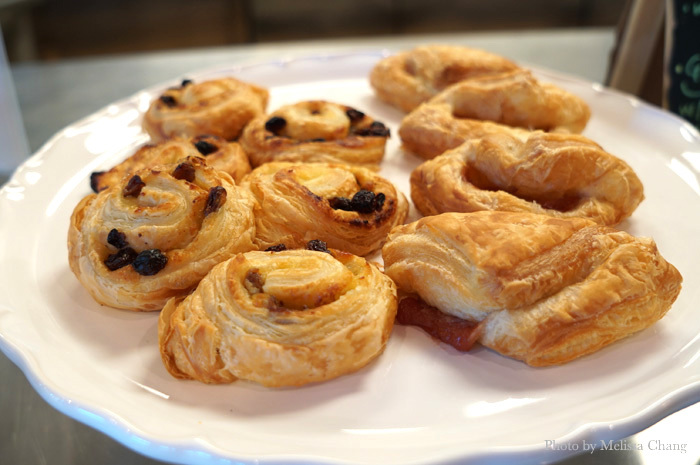 These mini pastries are $1.50 each, including guava pulp pastries, raisin custard, and maple walnut in pure maple syrup. 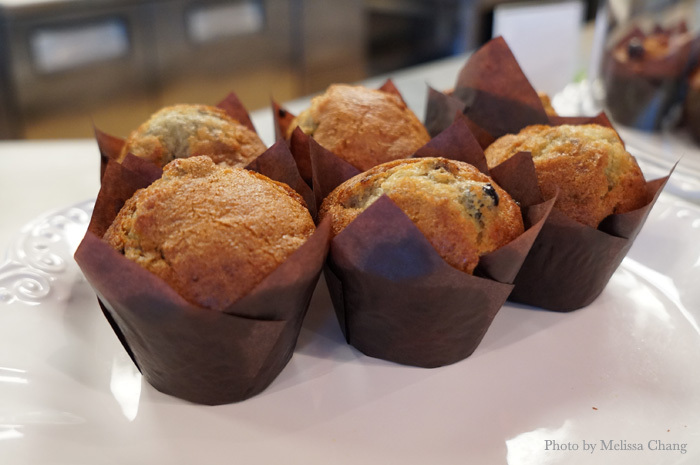 He’s also got some gluten-free muffins. One of our favorite items was the banana bread with poi. This is super moist and a little too easy to inhale. 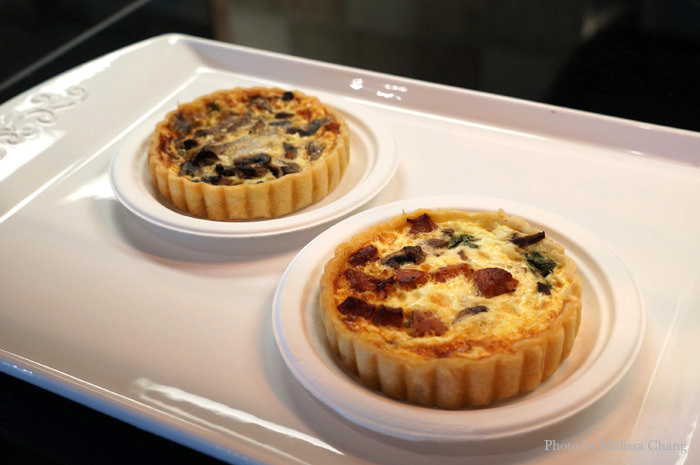 Fresh baked quiches are just $6. On this day, he had vegetarian (left) and Portuguese sausage. 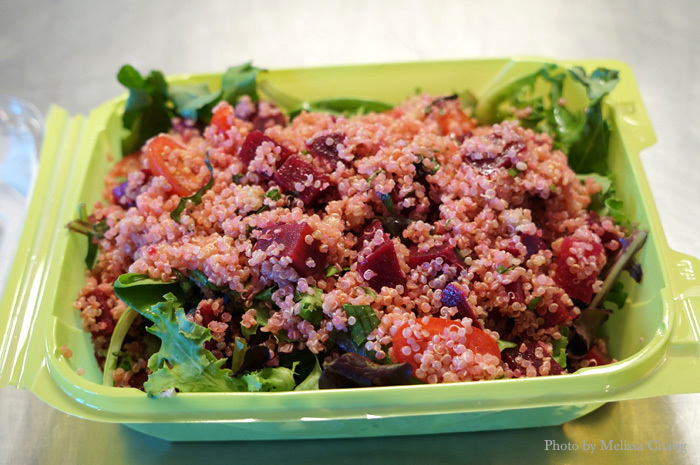 The special of the day was a roasted beet with quinoa, parsley and basil on organic greens ($8.50). I expected this to be a huge bowl of quinoa with a single layer of greens, but it was actually a bigger bed of greens than it looks. It was really good, though, and the dressing was light and balanced. Simon was very excited about this roasted veggie wrap ($8.50). 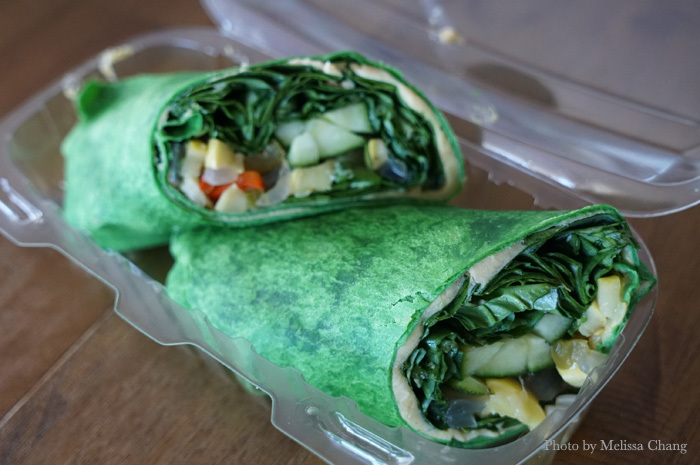 He saw someone with local breadfruit, so he made it into hummus and used it to give this wrap some heft. It worked really nicely. It’s light, but very filling — I was full after the first half. 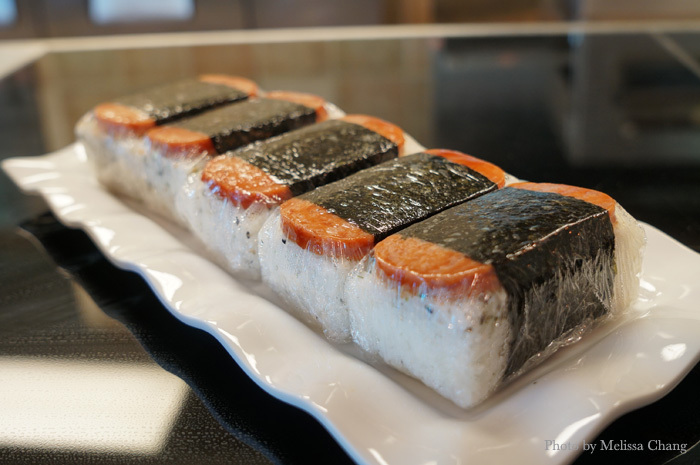 Simon wasn’t going to offer spam musubis since that’s not his style, but JABSOM said he needed to have it for the students who want it for snacks or meals, as they’re always on the run. So he at least presents it in his style! By the way, Simply Ono is still there on the other side of the JABSOM cafeteria, and they’re also serving up plate lunches with their local flavor. On almost any given day, Harris is there handing out jokes and making fun of me!